Since this is a post about saving time, let's skip the intro and get right to business. Next time you have an appointment across town, order an Uber and work during the ride. If your eyes need to be on your phone or computer to get actual work done, then use commute time to your advantage. It may seem expensive, but when you do the math, it might end up being CHEAPER to take an Uber if you can be PRODUCTIVE during the ride. It’s safer than emailing and driving too! If you are not using voice at least a few times a day, you are missing out on a HUGE time shortcut. These are just 5 examples of how voice can save you time, but our devices can do a LOT more. Start testing voice technology TODAY. You will be shocked how much time it can save you. People spend WAY too much time switching between tasks, and part of the reason is because we don’t know what our next task will be. Scan my email, opening a few emails that intrigue me, and then marking them each UNREAD. Look over a scratch piece of paper that sits on my desk that I randomly write notes on. Scan my Evernote for something easy to knock out. Can’t decide what to do because none of the tasks are easy enough to knock out quickly, so I go grab a drink of water, or hop on social media. Or worse, check email AGAIN. I KNOW this sounds familiar to some of you. If you take just 15 minutes before your day starts to write out your to-do list, in ORDER OF PRIORITY, you will save a TON of time trying to decide what to work on next. 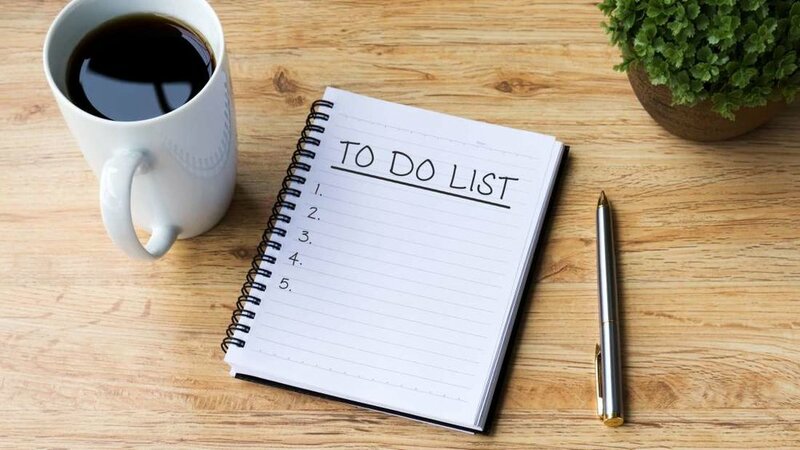 If items on your to-do list are multistep projects that require action from other people, write down each step to make it EASY on your brain to get started. And maybe MOST important, do the activities you are LEAST looking forward to FIRST. Finally, time-block tasks that will take 30 minutes or more to complete. Put them IN YOUR CALENDAR and HONOR the time-blocks! You can’t get it all done yourself. Especially if you want to grow your sales. So make sure you are delegating tasks that can be done by someone else. Even if you have to train someone to get it right. It will pay off. Delegating, by the way, is a skill that needs to be built. Work on it. Practice it. Get advice from people who are good at it. Bottom line: if you aren’t delegating tasks, you probably have room for improvement and a huge opportunity to save more time. Tell me if this sounds familiar: You check your inbox and have 15 unread emails. You read each one, then go back and mark them all unread, then start on another project. Then you come back later and read them again. You finally start to respond to some of the emails after the 3rd or 4th time you read them. If you waste just 15 minutes per day doing this, you will effectively lose 97 hours per YEAR where NO action has been taken. Ttouch each email/voicemail ONE time. Either act on it, delegate it, delete it, or add it somewhere on your to-do list. What are you doing to help you save time? Comment below!